The Weekly Contest: Blue Stinger Edition! And the winner of the being drawn by Tom and making a cameo in the next header image contest is…. Daguru77! Send us a picture and your favorite Sega game and Tom will get started on his next masterpiece. Up next week is a copy of Blue Stinger for Dreamcast. 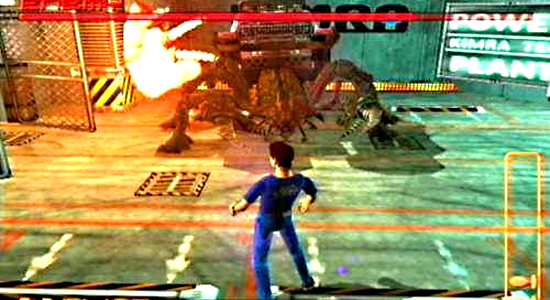 Blue Stinger was the first game developed by Climax Graphics who went on to create Illbleed before disappearing from the Earth forever. It’s a strange survival horror-esque game where the enemies drop coins. That’s all you really need to know. It’s simple really. At the end of each week (Saturday night), all of the comments left on any post on the site will be totaled up. Every comment you leave gives you one chance to be drawn as the winner of that week’s prize. So, the more commenting you do the better chance you have to win, but you do have a small chance of winning even if you only leave one comment that week. Comments that are not relevant to a post will not count. They also have to have substance. Just saying “Awesome” on every post will get you nowhere, son. As long as you’re praising the author for a job well done, asking a question, adding some information, or even debating against one of the author’s points, your comment will count. At the end of each week the comments will reset. Even if you left a bunch one week, you’ll have no entries unless you leave more the next week. But just think if you’re a big commenter you could potentially win four games a month! Wowza! 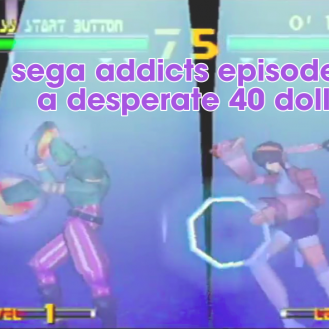 The Sega Addicts Podcast episode 32 records tonight! Nice! Time to send the picture and choice one SEGA game out of millions! Yeah for Blue Stinger! Always thought that game deserved a bigger following than it got. That was one of the rare games, especially at launch, that was actually retooled and improved from the Japanese to American releases. Wish the same could have been said for Sonic Adventure or Virtua Fighter 3tb. Yeah, I don’t understand why Blue Stinger doesn’t have a bigger cult following. It’s a very ambitious game and unlike anything released at the time. Blue Stinger rocks! It was one of the first Dreamcast games I played, an that was about the moment I fell in love with the little white box with an orange light. It will be a used copy. Unfortunately its hard to find a new copy and even if I did the price would probably go for more than our contest budget allows. 🙂 Good luck! Blue Stinger is just fun. If someone goes in with too high expectations tho they could be let down. I remember playing this game back in 1999 and I recently just beat it twice on Normal mode within the past 4-5 weeks. I am thinking about going back for a 3rd time to beat it in Hard Mode so I can get big eyes mode. I agree! It’s far from a perfect game, but it’s entirely unique and they really don’t make games like Blue Stinger anymore. I’ve always loved the mix of horror with bright visuals and Christmas music everywhere.